Since Chris was tweeting lots of spoilers about the Land of Stories 2 tonight, I thought we needed a thread to post the tweets on and discuss them. So feel free to post and discuss them here. The Land of Stories 2 : The Enchantress Returns Spoiler Thread! Just finished a chapter in TLOS2 where the twins meet Cinderella's Stepmother. It's very Grey Gardens meets Whatever Happened To Baby Jane. @hummeianderson Yup! "Beauty and the Beast" is a major plot point. Just not as you'd think. @chriscolfer Chris will someone be taggin along with Conner and Alex this time around? @piercetheveilz_ Four other characters go on the adventure with them in the second book. Can you guess which four? 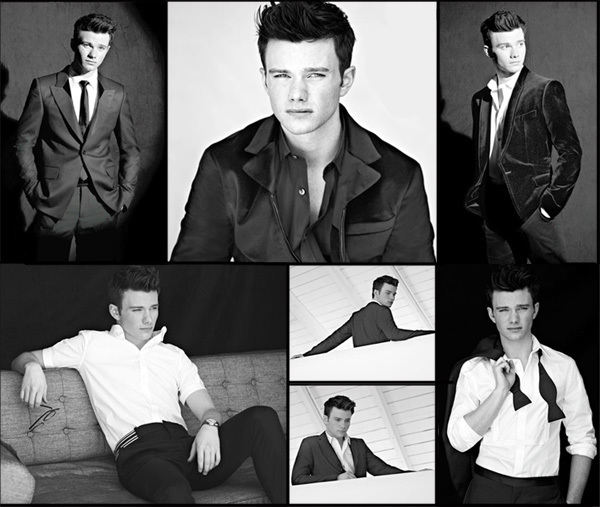 @icryforedcolfer Ooooh yes! And more powerful than ever! I have to stop giving spoilers before I get in trouble with my publishers. @chriscolfer will twins meet seven dwarfs in tlos 2? @klainesdaughter They met them in The Wishing Spell. Conner played cards with them at Snow White's palace. @lizziecamille Red is sort of a social commentary. She's what happens when someone abuses responsibility and power. She wises up in TLOS2. @chriscolfer the evil queen was villian in tlos. who will you pass the torch to in tlos2? i hope hte wolf ain't hte bad guy. i am sick of wolves being portrayed negatively. i love wolves. they are same as dogs but have more of a survival instinct. between wolves and hunters I would definitely shoot the hunters, and I am a cat person. "Pass back to?" Hmmmm. Maybe the evil witch who first kidnapped/enslaved Evly? After all, it was assumed that she died in the woods, but not confirmed. TLOS 2 is being released on August 6, 2013.
that's pretty close. especially when we still don't know the name of the second novel, other then LOS2. i like the purple cover style. i'd love it if that were the background color for the actual cover. I just pre-ordered 2 copies on Amazon.co.uk. Yay! I wonder why this one is being released slightly later than the first one was? ^This is probably wishful thinking, but maybe Chris is not available to do a signing tour untill August, due to filming his next movie? I hope he films his movie ASAP, but didn't he want to shoot it in the winter for whatever reason? And in the south as well? ^ i hope someone told him that it never snowed in Louisianna. my hubby is from there so he knows. (ok maybe once in several decades or something you get a thin layer of snow up in the north but normally, it doesn't snow there). I seriously think that that tweet about filming in the winter in Louisianna was a half joke/half deflection. Just to stop people from asking him when he was going to film. It was clear that the production was postponed for some reason, and I somehow doubt it was because of needing snow in Louisianna, as a low budget film like that would probably not go that far away from L.A. on location: too expensive. Good point. I wonder how sunny/summer-like it looks in LA right now? I wonder if he can get the look he's going for as soon as Glee S4 wraps up? But snow in Louisianna...that sounds like an oxymoron. "When pigs fly..."